The British Broadcasting Corporation is bringing its travelling bureau to Yellowknife and is looking to hear what stories Northerners want to see on the BBC. 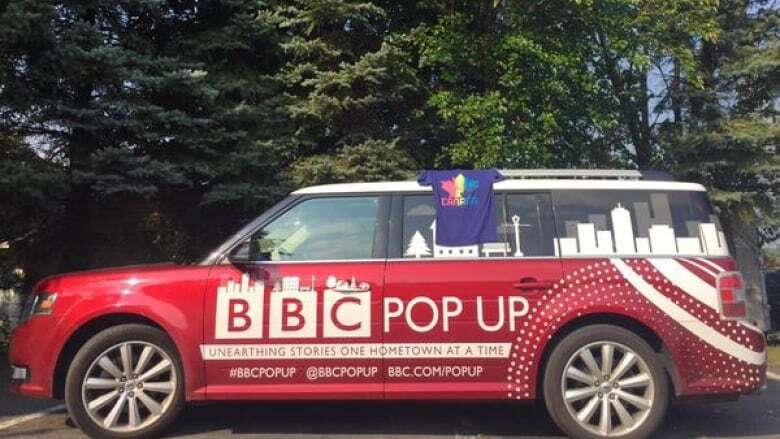 The British Broadcasting Corporation is bringing its travelling bureau to Canada and Yellowknife is one stop on the road trip. BBC Pop Up is the corporation's first mobile journalism unit, according to bureau chief Matt Danzico. "We basically act as a crowdsourcing unit. We film the stories that locals want us to tell," Danzico says. The travelling team relocates to a new city or country every month. The last trip was to Nairobi, Kenya. Next week they'll head to Canada, with stops in Quebec City, Edmonton and then Yellowknife. "We're already amassing a list that is miles long of story suggestions people have sent us over Twitter and email, and what we're looking to do in Yellowknife is we're trying to get an idea of what stories people want us to tell and want us to film," Danzico says. The unit's stories range from the very serious, such as government corruption — to the very light, like a golf course entirely made of sand. That's right. Yellowknife's infamous sand golf course might make an appearance in the BBC's mini-documentary. "Somebody suggested and told us that there is a sand golf course in Yellowknife?" Danzico says, laughing, "and saying we should look at the uniqueness of this golf course." He's also heard suggestions about the history of local First Nations and dog sledding culture. But they're looking for even more story ideas. "We really want everyone from Yellowknife to send us their ideas. We're really excited to get there in just three more weeks." Danzico says it can be a challenge to get to know a region in such a short period of time, so they really try to embed themselves in the community. "You'll probably see us playing golf at the golf course or you'll probably see us around town with a BBC car or just sort of participating in as many local activities as humanly possible," he says. People can Tweet their story ideas to BBC Pop Up. The mini documentary on Yellowknife will likely air on BBC World Television in mid-October. Danzico says it will also be available on bbc.com/popup.